iTunes works great as a music manager, but some people don't like it that much for playing music. If you're among them, your opinion may change after installing SkiniTunes. SkiniTunes is a nicely designed alternative to the iTunes Mini-Player that improves the way iTunes works as music player. Far from the typical dull gray iTunes interface, SkiniTunes features an eye-catching customizable interface that displays all the information you need: artist, song, album, timeline and album cover art if available. 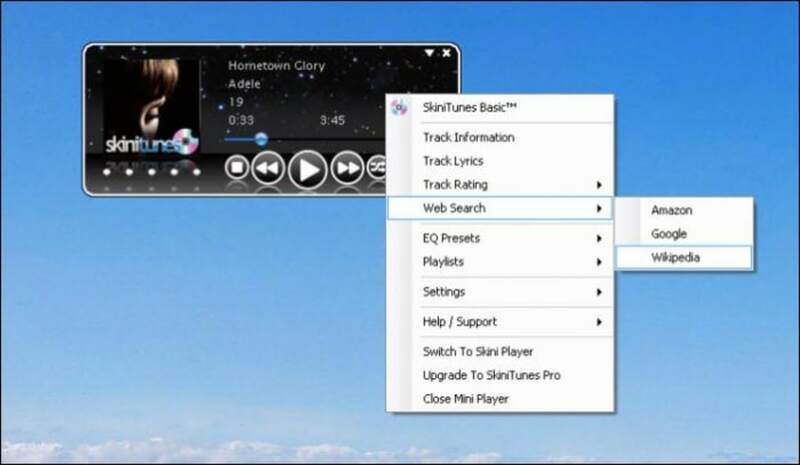 SkiniTunes also includes the necessary controls to manage music playback, as well as a special tool to rate the song that's currently playing directly on the player's interface. Extra utilities include access to information online about a specific song, finding lyrics on the Web and displaying album cover art as your avatar in Live Messenger. 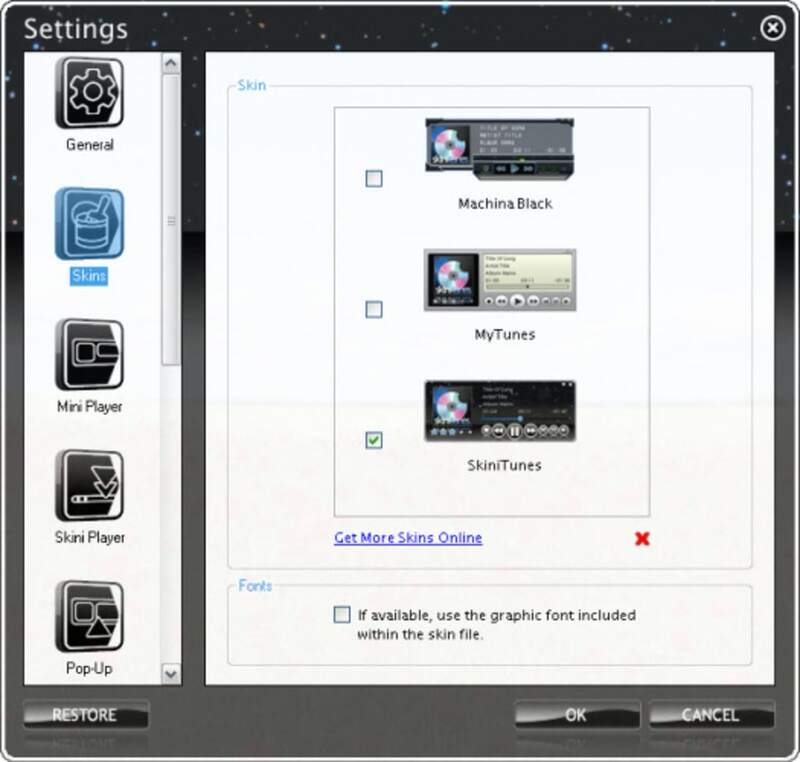 On the downside, this program is only a lite version of SkiniTunes Pro, which features extended functionality. And this, despite the fact that I really liked SkiniTunes, is always a bit disappointing. 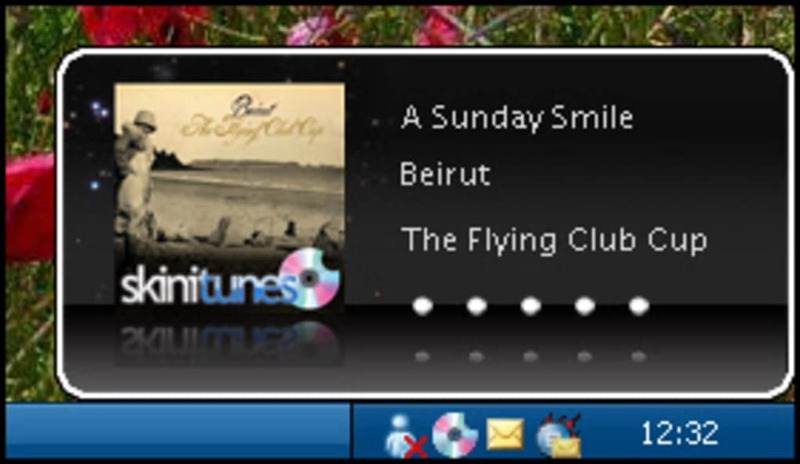 SkiniTunes is a colorful customizable desktop player that enhances the way iTunes works as a music player. What do you think about SkiniTunes? Do you recommend it? Why?